Sina Weibo provides global users with 24 hours of comprehensive and real-time Chinese news, covering domestic and foreign breaking news, sports events, entertainment and fashion news, industry information and so on. In such social & news apps, photos are always widely used. And with Mockplus, you can easily add numerous “Image” components as placeholders in such prototypes. Moreover, since Weibo is a very powerful social networking app and also has a very complicated social networking logic, here are several main pages for you to learn and take as reference. 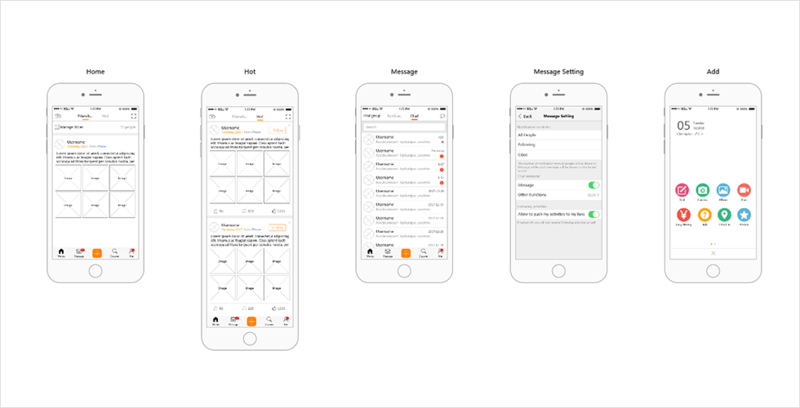 Pages of this prototype: Home, Hot, Message, Me and Settings, etc.